The Personal Clearing sounds are based on the information from some of the very early sounds no’s 14 and 30 Clearing Space and Venue, and Clearing Home Space and Venue, and No’s 15 and 58 Daily Practitioner and Office Career. These sounds were created to deal with specific issues of people being affected by energies and emotions left behind or ‘dumped’ by other people in homes locations, offices and so on. When Susan and I discussed our personal energy fields and how we ‘pick up’ as energetic beings so much of what is around us, even just going to the shopping centre, school, or for a walk in the park, we decided to create a specific set of sounds for Personal clearing. 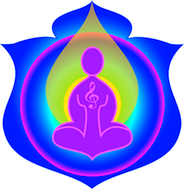 These short yet powerful sounds will assist you to ‘clear’ your own energy fields. Susan and I have many discussions about the sounds and our combined work, this was one of those discussions, which came about after the Energetic Balance and Harmony course was completed, and I had gone into some detail on some of the ways to ‘cleanse’ your own energy fields. Why? Susan asked me could there not be a sound for Personal Clearing, based on the information in the Space and Venue, Home Space and Venue, Daily Practitioner and Office Career sounds, and while I was at it, what about a sound for clearing peoples financial situations as well. Now as I have commented previously, it is just as well I like this lady as she can be a slave driver extraordinaire. So with a Yes ‘Miz Susan’, as I usually reply in these instances [ just as well she likes me also] I set to work to create the Personal Clearing and the Financial Clearing sounds. To say that we are pleased with them is an understatement, we hope that you enjoy them also. Comment from Susan – What can I say? Am I really a slave driver? Possibly – but only for the greater good, I can assure you! When I first played this sound – it really made me yawn – which for me and many others, is a definite sign that things are shifting, moving and clearing. Takes the clearing sounds to a very personal level. ​I would recommend this sound for everyone – but to truly optimise its value to you – I would suggest you have a session with a practitioner or do some exercises from the academy site to enable this sound to work on deeper levels.